This time out, youngster Darryn scored his first podium place in the ultra-competitive Moto3 race. The Binder brothers, Darryn and Brad, both scored credible positions in Sunday’s Japanese MotoGP at Motegi. 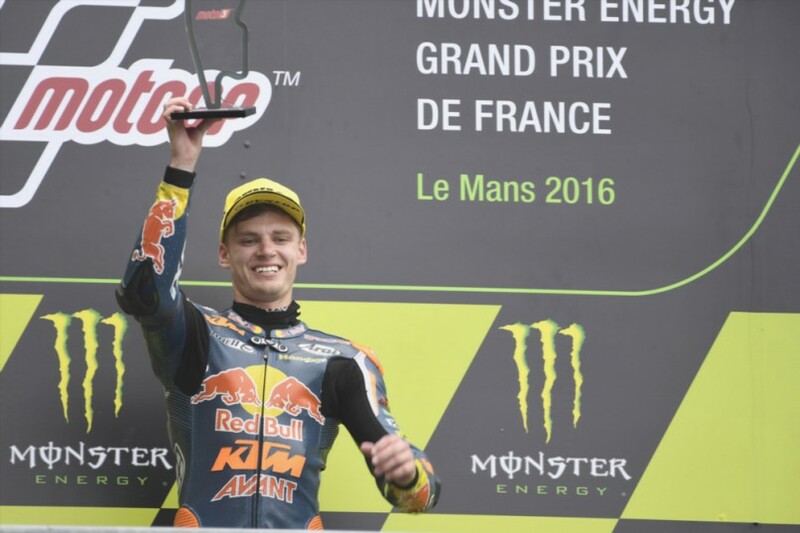 This time out, youngster Darryn (Red Bull KTM Ajo) scored his first podium place in the ultra-competitive Moto3 race. The South African led the race in the closing lap but got the very last corner slightly wrong and he was swamped by Marco Bezzecchi (Redox PruestelGP) and Lorenzo Dalla Porta (Leopard Racing), who took the first and second places. Though delighted with his first podium, Binder was disgusted about his mistake in the final corner. Older brother Brad took his Red Bull KTM AJO to fifth place in the Moto2 race, while fellow South African Steven Odendaal finished 19th on his NTS.